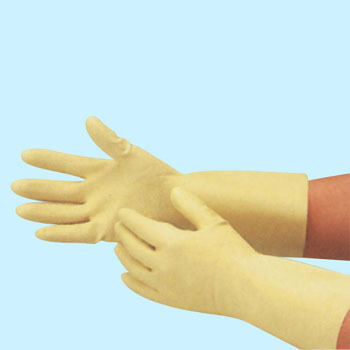 If you put this on the mesh glove and put thick rubber / vinyl gloves on it, it will be safe to prevent sewage from sticking to your hands even if the hole opens, and you can remove it without stickiness with sweat Even luck, there is no fleece, so it is comfortable as the inside does not mold or smell. This review is about item#7581515. This review is about item#07581524. Very fit and easy to work. This review is about item#07581515. Easy to put in hands, fit is also good. It is quite durable. I have used all kinds of rubber gloves, but this product is very good. It is reasonable toughness of rubber and easy to put in and out of hands. There are also durability. It is not too thin, just good thickness, feel is soft and fit and easy to use. I also like cute light yellow. Nitrile Rubber Gloves, "DIGIHAND LIGHT"